Land only: $ 2499 USD ($ 3100 CAD) Per person in dbl room land only. Starting in Zagreb: Sep 19, 2017 - one date only! Arrive Zagreb, the capital of Croatia. Transfer to airport and day at leisure. Welcome dinner to meet your fellow travellers. Morning walking tour of Zagreb. In the fortified, medieval Upper Town, you will see St. Mark’s church, Parliament, the government palace, and many fine old buildings. After the sightseeing of Zagreb free time to explore on your own. consist of 16 lakes connected by waterfalls. The park is located in the Lika mountain region and visited mostly on foot. The visit of the park grounds takes approx. 3 hours. Make sure you have your cameras ready today as the waterfalls are breathtaking! Dinner and overnight at the hotel near Plitvice Lakes. After breakfast we drive down from the mountain region of Lika to the Bibich Winery near Skradin for a gourmet experience that is more than a simple wine tasting. The winery, which burnt to the ground during the war, is now producing rewarded wines and exporting 80% of their production to USA & Scandinavia. 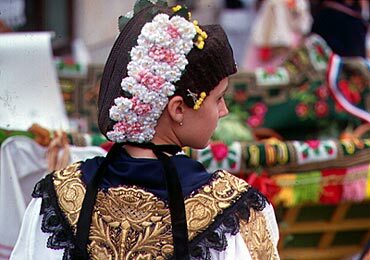 We will taste the dalmatian specialty wines accompanied by delicious Croatian style Tapas. Departure towards Split for dinner and overnight. 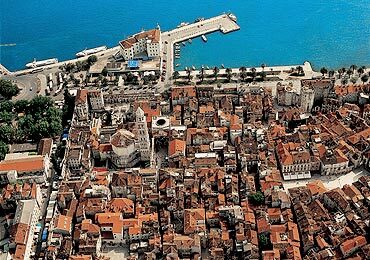 Sightseeing of Split. The city is the handiwork of seventeen centuries of men and women building and remodeling, mixing old and new. At the heart of the city is the palace which the Emperor Diocletian built for his golden years at the turn of the 4th century. 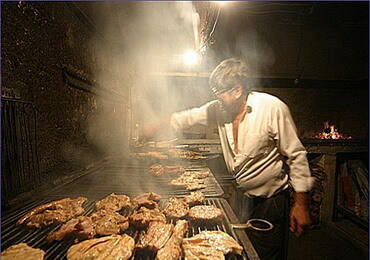 It is still the hub of activity for the citizens of the city as well as tourists. Free time for lunch and further exploring on your own. In the afternoon we continue to Dubrovnik for dinner and overnight. Completed in the thirteen century, the old city of Dubrovnik has remained basically unchanged. Its medieval ramparts encircle the city which pedestrians can enter through one of two gates - either way, cross a stone bridge under the watchful gaze of the city’s patron Saint Blaise (Vlaho), and find yourself joining the evening promenade down the broad, stone-paved avenue known as Stradun. After the sightseeing tour, free time to explore the city by yourself or to join and optional visit to a winery near Dubrovnik. Stronly recommended is a walk along the city walls for amazing scenery and photo ops. Dinner at the hotel. Today we drive north along the coast to Trogir, a UNESCO site, with a fascinating 2300 years of continuous urban tradition. 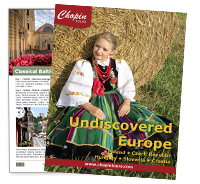 Its rich culture was created under the influence of old Greeks, Romans, and Venetians. 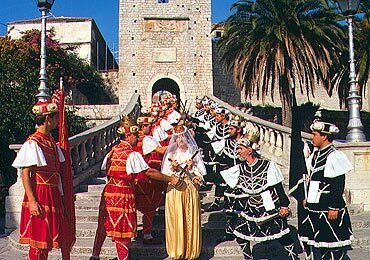 Trogir has a high concentration of palaces, churches, and towers, as well as a fortresses on a small island.Today's lunch will be the traditional Dalmatian dish – Pašticada which we will taste at the Tragos restaurant in Trogir. After lunch a walking tour of Trogir, and then we drive to Sibenik for overnight. After breakfast we tour the historic town of Sibenik, rich in cultural and historical monuments. 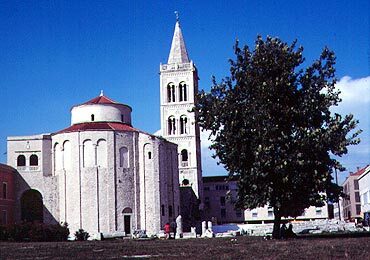 The most representative among them is the famous Cathedral of Sibenik (St. Jacobs), one of the most original architectural projects of the late Middle Ages. We leave Sibenik and drive to Opatija. 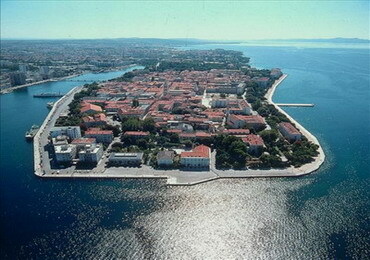 On the way we will stop in Zadar for sightseeing of the Roman sites and a new attraction- the unique “Sea Organ” . Time for lunch on your own and then we continue to Opatija. Situated on Kvarner Bay, Opatija used to be the favorite spa resort of the Habsburgs and European aristocracy. Dinner and overnight in Opatija. After breakfast a short walking tour to see the highlights of Opatija such as the Benedictine Abbey of St. Jacob, Villa Angiolina, and the famous statue of the Maiden with the Seagull. There is a 12km seaside promenade if you really want to stretch your legs - and of coarse there are many place to enjoy great seafood along the beach. Overnight in Opatija. After breakfast we leave Croatia and drive (approx 2 hours) to our hotel in the vicinity of Venice, Italy. The day is free to explore on our own. Just behind our hotel is a train with a frequent schedule to Venice Santa Lucia station, at the northern edge of the historical centre of Venice. From here we walk through the maze of narrow “streets” and bridges to the Piazza San Marco. Relax and enjoy the extraordinary ambience of this special place before we make our way back to the hotel for a casual farewell dinner tonight and the chance to share memories with new friends.